Wow! That’s what I first thought when I opened this book. Being a fan of the "gull grey and white" era of U.S. Naval aviation it is right in my area of interest. 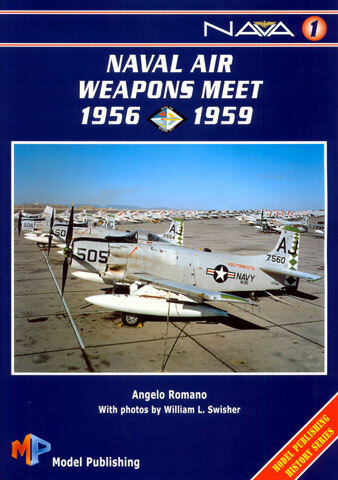 Naval Air Weapons Meet 1956 – 1959 is the first book in a planned series of books covering U.S. Naval aviation by the Italian based company Model Publishing. This initial book covers the four competitions that were established for specially selected United States Marine Corps and United States Navy squadrons from both the East and West coast fleets. These competitions were planned to be conducted on an annual basis by were only run for four years. The book covers each of the four competitions and gives exhaustive details of what squadrons competed, who the pilots and winners were. The details for the 1959 competition, named Operation TOP GUN is by far the most comprehensive and also includes the lineage of each of the competing squadrons as well as a full colour illustration of the squadron insignia. Whilst the information in regards to who flew what and who won is interesting the real value of this book from a modeller's perspective are the exceptional photographs. There are 52 colour and 120 black and white ones. The black and white ones are sharp and clear whilst the colour ones truly excellent. They are all there too, Furys, Tigers, Demons, Skyrays, Spads, Crusaders, Skyhawks, Skywarriors, Vigilanties. Phantoms, Intruders, Corsair IIs, and Harriers also make a brief appearance to illustrate the machines that some of the squadrons eventually flew. If you want to see a couple of examples, go to Model Publishing's website at http://www.aeroslides.com/modelpublishing/ and click on the book. The book is A-4 in size, and contains 104 high quality glossy pages between cardboard covers. The inside of the rear cover gives a tantalizing glimpse of the covers of the next two books in the series. 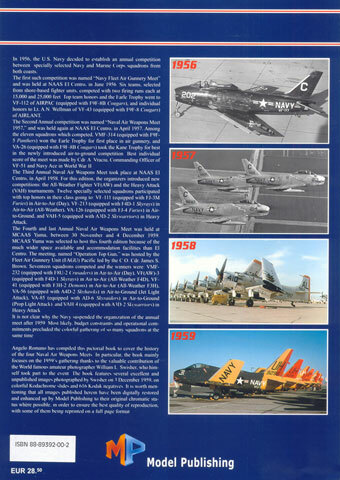 "First and Foremost – The Illustrated History of Carrier Air Wing One", and "An Illustrated History of U.S. Naval Aviation in Europe – Volume One NAF/NSA Naples". The credit card is going to take a bashing!